Today I want to do a quick post on the basics of the Roth IRA. I've done several posts on them previously, but all on a specific point about Roth IRAs, including the 2010 Roth IRA Conversion. Today I'll bring it all together in one comprehensive Roth IRA post. The Roth IRA account was brought into existence in 1997 when the Taxpayer Relief Act of 1997 was passed. The chief sponsor of the bill was the late Senator William Roth of Delaware. (Does the name of the account make more sense now?). The Roth IRA (Individual Retirement Arrangement) is a retirement vehicle in which you can invest in securities, stocks or mutual funds (although other investments, including derivatives, notes, certificates of deposit, and real estate are possible). The reason that Roth IRAs have become so popular since they passed is the fact that they are a tax free withdrawal retirement account – since you don't have to pay taxes when you take the money out at retirement. The Roth IRA contribution limits have been the same since 2008 at $5,000. If you are age 50 and above you can make an extra contribution of $1,000, which means you can contribute a total of $6,000. It isn't anticipated as of yet that they will be rising next year. Time will tell for sure. Here's a quick chart showing where the contribution limits have been since 2002. The income phaseout limits for contributing to a Roth IRA start getting phased out at about $105,000 for single filers, and at $167,000 for married filing joint filers on a Roth IRA. Once you reach the lower end of the phaseout limits, figuring out how much you can contribute to the Roth IRA becomes a bit of a complicated math problem. Basically you will subtract your modified adjusted gross income from the upper end of the phaseout range, divide by the amount of the spread in the range. You'll get a percentage after you divide. That percentage is the amount of the full $5,000 that you can contribute. So if you're resulting number is 66% – you can contribute 66% of $5000 – or $3300. For a full explanation of figuring out how much you can contribute, check out this post on Roth IRA Eligibility. At What Age Can You Contribute To A Roth IRA? As long as you have an earned income along with a W-2 or 1099, there are no age restrictions on who can contribute to a Roth IRA. That babysitting job your kid had last year probably won't cut it, but if they pushed carts at the local grocery store – they're good to go. Opening a Roth IRA is a pretty simple process that shouldn't take you more than an hour or two from start to finish. Basically you just have to figure out where to open the account (bank, discount brokerage or full service mutual fund company), how you'll be funding your investments, and what types of things you'll invest in. Roth IRAs are one my favorite investment vehicles, and one that I invest in first. I love the idea of diversifying my tax situation at retirement by having a mix of taxed and non-taxed withdrawals to enjoy at retirement. That way I'll make sure that no matter if my taxes are higher or lower at retirement, it won't matter very much because I've got investments that were taxed previously, and ones that will be taxed now. So what do you think of the Roth IRA? Do you have one, and would you suggest others get one too? A couple of weeks ago I wrote a post about how you can save money on your cable or satellite TV bill by just cutting them off, and watching your favorite TV shows and movies online, and on your TV via a game console or other networked media player. While just telling you that you can do this and save money is great, today I thought I would do a quick video and text tutorial and walk-through to show how quick and easy it is to setup your home entertainment system to use a streaming media server like PlayOn. Here it is, and if you'd like you can follow along with the text below to install your own version of PlayOn. 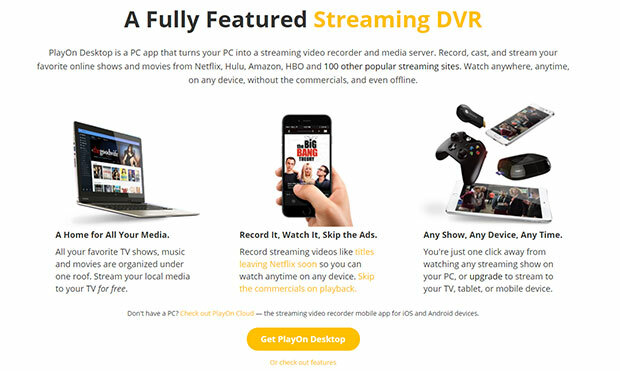 Many of these video options (and a ton of others) are available to you when you stream your video content using a PlayOn media server. In fact, because you can use plug-ins for the software – just about any show you might want to watch excluding some live sports content is going to be available to you somewhere. So what exactly does PlayOn do? In more technical terms, PlayOn software is a Universal Plug and Play (UPnP) digital media server and Web browser that runs on your Windows PC and browses web pages from Internet content providers. PlayOn formats and forwards the display output on the fly to make sure that your DNLA-compliant networked media device can receive it over your home's wireless network and present it on your TV (on-demand). Whew! Setting up your video home entertainment center to watch all your favorite shows is pretty simple. Here is what you're going to need to get started. Computer with Playon software installed: You'll need a computer on your home network where you can install the playon media server software and any plugins. Network Media player: You'll need a network media player or compatible game console (Xbox One, Playstation 4 or Wii will all work). List of compatible devices here. TV: You'll obviously need a TV connected to the media player of your choice. So let's start by installing the software on your computer. Download the 14 day free trial of the Playon Digital Media Server software here. Install the software according to directions. If you want you can download additional plugins for the software at sites like playonplugins.com and playonlabs.net (Some of our favorite plugins? HGTV Network, Food Network, SyFy). To install plugins place them in your “..\Program Files\MediaMall\plugins” directory and restart the software. If you want to view your saved content or favorites lists on sites like Netflix, Youtube, Amazon VOD, and other services you'll want to enter your username and password information in PlayOn's settings screen. If you're into this sort of thing – you can also share your viewing habits with friends via Twitter or Facebook by entering login information. There you go – not too hard, right? Now let's get to watching our shows! After you've installed the software and plug-ins, and have made sure your computer and media device are connected to your home network, the next step is to try and view content on your media device. Make sure your computer, TV and media device are all turned on. Make sure the PlayOn Digital Media Server is running on the computer. Once PlayOn is selected as the video source, you can then select what video service you want to view, and browse the content by show title and other categories. View the content by selecting it and hitting the play button on your media device. Be aware that sometimes it may take a short while for the video to buffer before it starts playing, and you may be shown some short commercials depending upon which video service you're watching. To get more details and a full user guide for PlayOn, check out this .pdf file. One thing I've found to be true with the Playon software is continually updated, and that new content options are always being added either by the software's creators or by independent developers via the API and plugin interface. If you don't find a video content provider listed that you would like to view, it would serve you well to check out one of the plugin sites mentioned above to search for a plugin – it might be available. If not, request a plug-in be made and someone else might create one for you! Do you have questions about how to setup PlayOn for your household? Have you already set it up at your house? Tell us how you like it in the comments! What Are The Different Ways Of Investing Your Money? 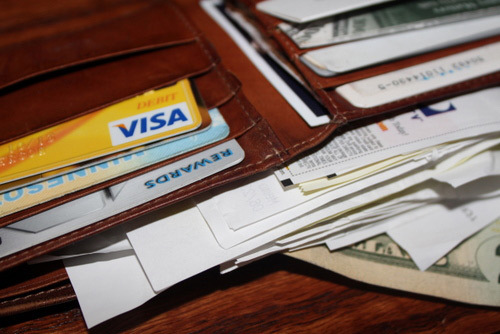 If you have a few extra dollars lying around in your budget after you pay all your bills and do some basic saving, you may be wondering what to do next. You may even hear your friends or colleagues talking about investing, but you might not know where to start. I'm here to help. 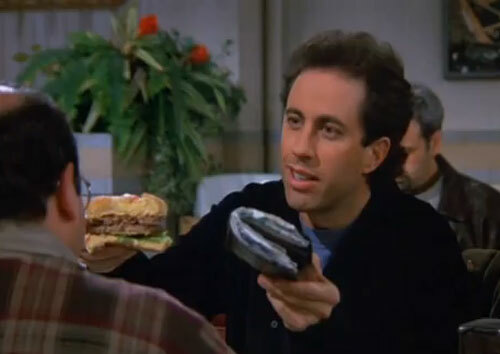 Now I'm not going to give you specifics about which investments to choose. But I will provide some guidelines for investing as well as some examples of different ways of investing money. The first thing you might want to know about investing is that there are two major categories of investing: taxable and tax-advantaged. Tax-advantaged investing uses some type of tax related retirement account (or retirement “savings vehicle”), which encourages you to you save for retirement by helping you avoid taxes. If your goal for investing is a comfortable retirement, and thus, you don't need the funds till you retire, then you should strongly consider a tax-advantaged account. Common accounts to choose from are the 401k and the IRA. Taxable investing is anything other than tax-advantaged investing. If you don't open up a special account to invest in, then you are just doing normal taxable investing. Taxable investing is very flexible since there is no special account to hold the funds in. You can move your money in and out as you please. Most investors do a combination of both. Invest the maximums into their tax-advantaged accounts each year, and then start pouring money into taxable investing. Another concept you should learn about before investing is the idea of diversification. This is the act of putting your investment dollars in multiple assets to achieve proper asset allocation. There's lots of debate as to what that looks like. But the idea is to spread your money around so that if one investment fails it won't wipe out your whole portfolio, yet you'll still achieve decent results. Therefore, diversified investing, involves putting your money in several different asset classes, and seeking a modest return without great risk. Speculative investing is a little harder to define. But like explicit or objectionable material, you know speculation “when you see it”. Speculation is putting your money into assets where their is a lack of knowledge about the investment, a high level of risk, or simply where you have too much of your portfolio in one asset class. Some could argue that all stock investing is speculative. But for simplicity sake, I'm defining it this way. The bottom line is that if you want to seek a decent return over the long-haul and preserve your capital (i.e. hold on to your money), you should be involved in diversified investing, and not be a speculator. Armed with the knowledge of these investing subjects, you're ready to go out and start investing. But where should you put your money? Here are some of the most common investment types (or asset classes) for you to consider. Stocks – Buy stocks of ownership in a company. Your investment grows as the company performs well. Bonds – Buy a debt security from a company or organization. You get paid when they pay their debts. Cash – Buy into currency, money market funds, and CDs. Your money is stable and most of the time insured from loss. Funds – Buy groups of stocks or bonds called funds. Common funds are mutual funds and index funds. Real Estate – Buy land. A real asset you can put your hands on. Businesses – Buy equity in a business. You get paid as the business grows. Personal – Buy an education, a new suit, or a car to get you back and forth to work. Other Assets – Buy art and collectibles. Hang your investment on the wall. Commodities – Buy gold, silver, or platinum. Which combination of the above you choose will depend on your understanding of the types of assets and your personal risk tolerance. How do you invest your money? What strategies do you use? Which asset classes do you invest in and why? This guest post comes from PT. Learn more about investing and see reviews of the best online stock brokers at his blog, PTMoney.com. The tax credit deadline has been extended from June 30th, 2010 to September 30th, 2010. Details here. Over the first few months of this year a lot of people who might not otherwise have been looking for new homes decided to move their timetable up, and purchase the home of their dreams because of the first time homebuyer tax credit. Why not move things up a bit if you can get $8000 cash? When the credit was extended to current homeowners as well, things really started to heat up. April 30th was the hard and fast deadline to be able to get a signed contract and still qualify for the tax credit. Most people were able to reach that deadline with no problem, however, some are now thinking that they're going to miss the June 30th deadline to complete the sale. If they do, they'll get no credit. Now there is an amendment to H.R. 4213, “the American Jobs and Closing Tax Loopholes Act of 2010” bill being offered that would offer extra time for homebuyers to close the sale. The amendment, which is attached to another bill, is being sponsored by Senate Majority Leader Harry Reid, D-Nev., Sen. Johnny Isakson, R-Ga., and Christopher Dodd, D-Conn. It was passed by the senate this week, and now needs to be passed by the House. The bill would simply extend the time available to homebuyers to complete the sale on their new homes from June 30th to September 30th. So will it pass? The National Association of Realtors has been pushing hard for this bill, but many are saying that even with the extension, many of the sales – especially short sales – will still not complete. Up to 180,000 buyers who were hoping to close by June 30 and get the tax credit are likely to miss the deadline, according to the National Association of Realtors (NAR). “We are hopeful,” says Paul Bishop, vice president of research with NAR. “We've heard a lot of concern from Realtors out there. There seems to be a sense of fairness. The tax credit was essentially promised” to those buyers. But some Realtors say even if a three-month extension is granted, that still won't be enough time for buyers pursuing houses through short sales, which can take many months to close. So a lot of people out there are in a holding pattern, hoping to get their credit. Some of them may get it because of the extension, but it sounds like a lot of folks who are buying short sales still may end up being left out in the cold. Another concern is that buyers who face losing the tax credit could pull out of pending deals altogether. Any extension must be passed this week, or buyers will start canceling deals next week, before the deadline hits, says Richard Smith, president and CEO of Realogy, parent company of Century 21, ERA, Coldwell Banker and Sotheby's International Realty. “We're concerned, as many people are, that this will force people to cancel their contracts,” Smith says. So now it is up to the House to get this bill passed so that some homebuyers can be helped. The question remains – how many will it help? What do you think – should the deadline be extended past the June 30th deadline? Will it be enough time for most unclosed sales, or will it be a pointless exercise? Tell me your thoughts in the comments! From time to time I think it's an interesting exercise to look at the stories of people who have risen to fame and fortune, and figure out how they did it. Was it luck? Hard work? A burning desire to succeed? Today i wanted to look at one such story of rags to riches. This past weekend we saw the passing of a entertainment and business icon, musician, actor and sausage magnate Jimmy Dean. While most of us are probably familiar with Jimmy Dean's sausage because of the prolific TV commercials, what a lot of people don't know is that Jimmy Dean lived a true to life rags to riches story. He was a musician and singer, actor, businessman and more. Jimmy Dean was born in 1928, in Plainview, Texas. He was raised in poverty and dropped out of high school after the ninth grade. Despite his humble beginnings, he rose above his situation, worked hard and made himself into a huge success. Dean grew up in a musical household where his mother taught him to play the piano. His father, who left the family, was a songwriter and singer. Dean taught himself to play the accordion and the harmonica. His fame in the music business ended up leading to a career in TV and movies. He had a couple of iterations of “The Jimmy Dean Show” on CBS and ABC, played an ally of James Bond in the film “Diamonds Are Forever.” He was also the first guest host on “The Tonight Show”. In the late 1960's Jimmy Dean returned to something that he knew well – the meat business. His family had raised hogs when he was little. Jimmy and his brother slaughtered the hogs and ground the meat – and his mother seasoned and prepared it. Jimmy Dean opened the The Jimmy Dean Meat Co. in his home town of Plainview, Texas – and after six months, the company was profitable. Jimmy was a good businessman. He sold the company to Sara Lee Corp. in 1984, although he stayed on spokesman until 2003. Who hasn't seen one of the commercials for Jimmy Dean Sausage? By the early 1990's Jimmy's personal fortune had grown by leaps and bounds and was estimated at near 75 million dollars. Not bad for a poor kid from Plainview! Having watched other stars fritter away their fortunes, Dean was always a careful money manager – which helped him to amass such a fortune. Jimmy Dean rose from a life of poverty with a single mother to attain every dream he had ever had. He did it through hard work, persistence and through common sense business practices and integrity. If we can learn anything from his life it is the power that can be found in those things.